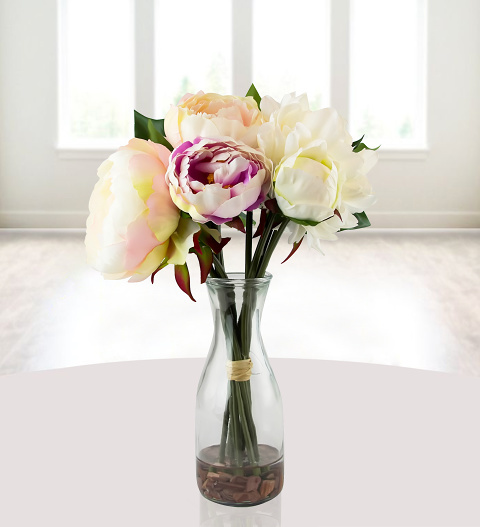 A fine selection of silk peonies all carefully arranged in a glass vase with pebbles and resin for that realistic finishing touch. These peonies are made from the very best silk, foam, and plastic to ensure that they look just like the real thing, only last much longer! Spoil somebody special with this luxury silk bouquet and you can be sure that they will be impressed!